Lunch plans are set. 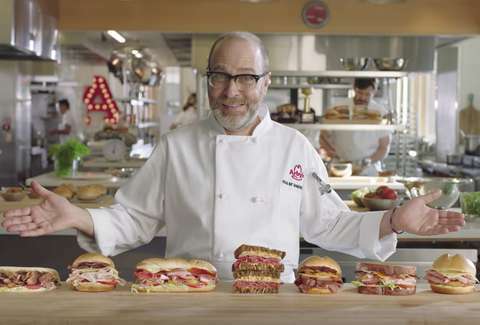 Arby's is doling out sandwiches for next to nothing. The new promotion can land you a free signature sandwich at the home of roast beef when you buy a soft drink in any size and sign up for its email list. The deal can be redeemed with the Arby's Reuben, Loaded Italian, Smokehouse Brisket, or any of its Gyros. Head to the Arby's site and sign up for the email list if you want to get in on the deal. Before you know it, you'll have a coupon in your inbox. That coupon will expire seven days after you receive it. So, it's worth signing up around the time you're hungry for a gyro. It'd be a shame to let a perfectly good, mostly free gyro go to waste. The coupon only lasts a week once it has been received. However, it does not appear there's a limit to the number of times it can be used in that week. It's not like that Papa John's free pizza deal where you get an in-app coupon that can be used once before it disappears. Print out the coupon, then use it over and over until you feel sick or the coupon expires. It seems too easy to be real, but an Arby's rep confirmed to Thrillist that the deal is absolutely real. Like H. Jon Benjamin told you previously, they have the meats... for sandwiches.